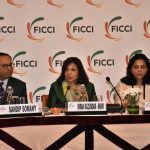 New Delhi: Tattoos have now become an accessory to adorn the body –an accessory that is an artwork, an accessory that is a complete tale in itself, an accessory that is a belief of one’s soul. In fact, renowned actor Angelina Jolie said once that all her tattoos came at good times, adding that “a tattoo is something permanent when you’ve made a self-discovery, or something you’ve come to a conclusion about”. And as author Sylvia Plath said, a tattoo is like wearing one’s heart on one’s skin. With the attempt to take the fashion of tattoo to a higher level and to educate people about this artwork, the third Heartwork Tattoo Festival is being held in the capital’s Indira Gandhi Indoor Stadium from the 1 to 3 December 2017 with the participation of around 105 artists which include twenty five international artists from countries like UK, USA, Germany, Australia, Finland, Korea, Greece, Italy among others. 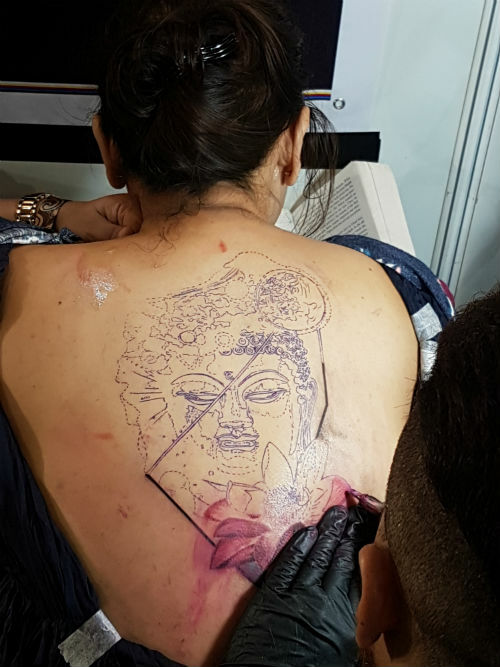 The event is being organized by the Czars of The Indian Tattoo Industry who formed a group called Creative Skin Graphic Pvt Ltd. to revolutionize tattoo art all over India as they realized that getting inked has become the trend of the day. It was in the true sense Heartwork. Heartwork is the brainchild of four pillars of the Indian tattoo industry: Lokesh Verma of Devil’z Tattooz, Delhi; Sameer Patange of Kraayonz Tattoo Studios, Mumbai; the biggest distributor of tattoo equipment in India, Anu Singh of Tattoo Empire, and Arvind Garg of Tattoo Gizmo. There will also be live workshops by the legends of the International tattoo industry. They take upcoming artists through demonstrations on various art practices and design methods. There will also be live Tattoo on-the-spot competitions across the three days of the Festival, with multiple categories to compete in. The best tattoos everyday will be eligible for trophies and prizes by the sponsors along with Emerging new talent competition. The 3 Day Festival will have various live performances all 3 days, Day 1 Sejal Morris, Sangeeta Bhattacharya, Sumit Roy, Day 2- Stand Up comedian- Jivashu Ahluwalia, Dj Berri, Day 3 -Soul Inclination – Tribute to Chester (Linkin Park) will be performing. Tattoo art is an ancient art, with spiritual connotations in some tribal cultures of the belief to follow the bearer into the afterlife. Slowly but surely, tattoos are beginning to carve for themselves their own niche in the cultural fabric of society as an art form.